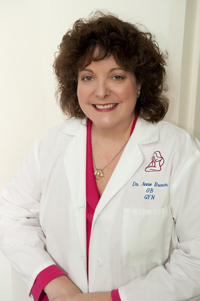 Dr. Brown has been practicing OB/GYN and living in Loudoun County, VA since 1994. She attended college and medical school at Wake Forest University in Winston-Salem, NC. She trained in her field at Allegheny General Hospital Pittsburgh, PA. Dr. Brown has been actively involved in leadership activities at Loudoun Hospital since her arrival, including serving as the Chairman of the Department of OB/GYN from 2002-2005 and the Vice-chair prior to that. She has a strong sense of commitment to her patients and her community, and she considers it her role to approach the patient physically, emotionally, and spiritually. Dr. Brown considers it a privilege to help the women and families of Loudoun County be the healthiest they can be.